Lobster Caesar Salad with locally grown romaine lettuce. 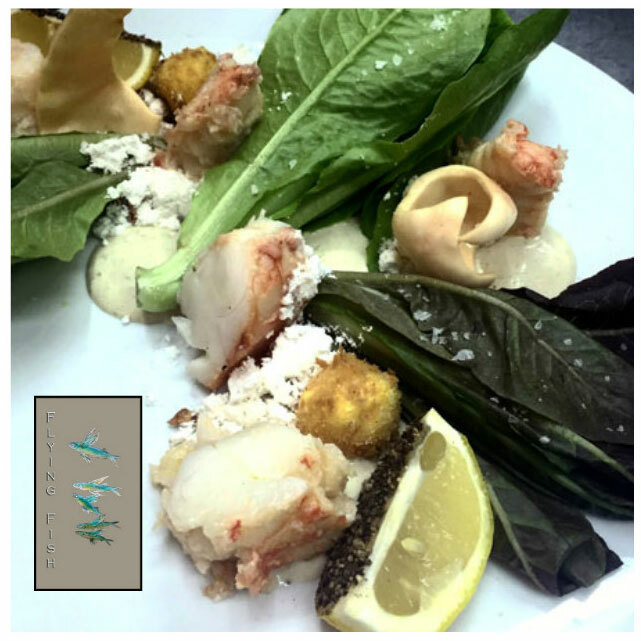 Flying Fish is pleased to present our new new Lobster Caesar Salad with the locally grown aquaponic romaine heads! We're proud to support locally grown produce. Locally grown greens are also featured in our Chef's Lunch Special our Soup of the Day, our renown Burger with a Salad. Our full lunch menu also available.